In this post, I have mentioned list of ITC codes which help exporters and importers of COMPUTERS, MACHINERY and MECHANICAL APPLIANCES,BOILERS and NUCLEAR REACTORS. ITC is also known as Indian Trade Classification (ITC code), RITC etc. 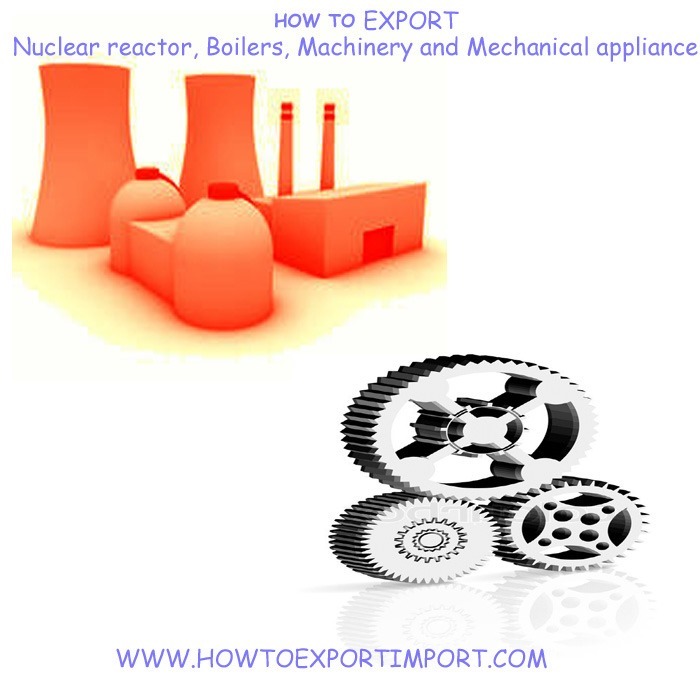 These HS codes helps exporters and importers of COMPUTERS, MACHINERY and MECHANICAL APPLIANCES,BOILERS and NUCLEAR REACTORS to identify their product to use in customs department and other government and non government agencies in India to import or export of COMPUTERS, MACHINERY and MECHANICAL APPLIANCES,BOILERS and NUCLEAR REACTORS. I hope the information in this post supports exporters and importers of COMPUTERS, MACHINERY and MECHANICAL APPLIANCES,BOILERS and NUCLEAR REACTORS. The buyers of COMPUTERS, MACHINERY and MECHANICAL APPLIANCES,BOILERS and NUCLEAR REACTORS from India and sellers of COMPUTERS, MACHINERY and MECHANICAL APPLIANCES,BOILERS and NUCLEAR REACTORS from India in import export trade may use these ITC codes mentioned. 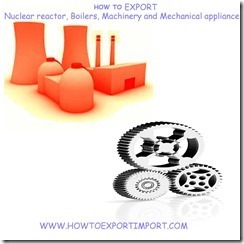 The suppliers of COMPUTERS, MACHINERY and MECHANICAL APPLIANCES,BOILERS and NUCLEAR REACTORS from India and buyers of COMPUTERS, MACHINERY and MECHANICAL APPLIANCES,BOILERS and NUCLEAR REACTORS in India may please be noted, apart from six digit HS code, commonly adopted worldwide, additional two, four or six digit product classification code is accepted in other countries. Hope this article helps importers of COMPUTERS, MACHINERY and MECHANICAL APPLIANCES,BOILERS and NUCLEAR REACTORS from India and exporters of COMPUTERS, MACHINERY and MECHANICAL APPLIANCES,BOILERS and NUCLEAR REACTORS from India . Comment below your thoughts. Sanket Ghugare : On 14 February 2015 I am a regular follower of your blog www.howtoexportimport.com and immensely appreciate your knowledge and understanding of the EXIM world. I had a query regarding in the topic of "Project Imports" where Material Imported by PSU companies under the CTH 9801 enjoy Nil duty benefit on fulfillment of certain conditions. For eg Under Customs Notification no 12/2012 Sr No 511, Goods required for setting up of any Nuclear Power Project specified in List 33, having a capacity of 440 MW or more, as certified by an officer not below the rank of a Joint Secretary to the Government of India in the Department of Atomic Energy are eligible for availing "NIL" Customs Duty benefit subject to the following conditions : (a) In the case of imports by the constituent units of the Department of Atomic Energy, the quantity, total value, description and specifications of the imported goods are certified by an officer not below the rank of a Joint Secretary to the Government of India in the Department of Atomic Energy; (b) In the case of imports by a Central Public Sector Undertaking, the quantity, total value, description and specifications of the imported goods are certified by the Chairman and Managing Director of the said Central Public Sector Undertaking However if a contract manufacturer is engaged in the manufacture of Goods required for setting up of any Nuclear Power Project specified in List 33, having a capacity of 440 MW or more and needs to import raw material regarding the same, he does not qualify the conditions to Sr No 511. I would like to know how or under which Sr No/Notification No could he avail this benefit of NIL customs duty for the imported material required for manufacturing Goods required for setting up of any Nuclear Power Project specified in List 33, having a capacity of 440 MW or more. Sr No 511 is just cited for example and the query is also applicable to the Sr No 507 where the Description of goods says "Goods required for setting up of any Mega Power Project..."